If you have never ventured into having an online business before there are a couple of things I would like to tell you first. You may either love it or hate it but the benefits of having your business online far outweigh the costs or efforts needed in getting it setup and running. 1. Q. What do you need to setup your business and what will it cost? It really depends on how serious you are about your business are you planning to have a business that makes anywhere from thousands to millions of dollars, or are you just looking to make your first $20. I would estimate that for a basic online business without doing paid advertising etc you should really allocate about $300 per month if you are serious about making money online. There are some Free Options but unfortunately as with most free things they come at a price or another disadvantage. I will not be going into all of them in this post but be sure if you want to run a serious online business the paid option is by far better. B. 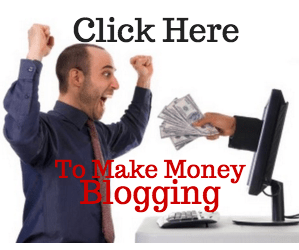 A hosting account or a viral blogging system like this one I am posting on today. D. An Autoresponder like Aweber or Getresponse to be able to setup autoresponder messages and build a list of targeted clients and subscribers. E. Possibly a shopping cart to add buy buttons and price your products and affiliate management software for managing affiliate tracking links and payments. G. Probably some personal branding like banners logos, Facebook covers etc. You can get these made for you on Fiverr.com or buy a cool logo software for a small price. H. A capture page software to create capture pages easily. I. A Video Screen Capture Software Like Camtasia or EVS Or Video FX To Make Or Record Screen Capture Videos. K. Create some Social Media Accounts And Personalise them to your name or brand. M. If you run a business where you schedule appointments you can use an appointment scheduling program like this one. Q2. 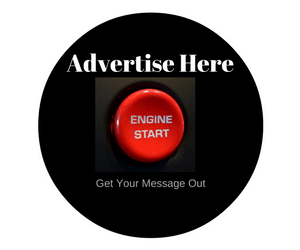 What do I have to do to be successful promoting my business on the Internet? B. Like with any other business or trade you need to learn test and adapt to suit your market. C. Find a mentor someone who can show you what you need to do to start and build your new business online. D. Be persistent anyone I know who has made a lot of money online has been persistent, no matter what friends or family said to them. They continued to follow their dreams, most people in a 9 to 5 job are too brainwashed or busy to understand what you are doing or why you are doing it anyway. Q3. I am looking an easy way to make money online will this work? A. This business is pretty simple if you follow the basic steps but definitely not easy. Just because a online business can cost you a few hundred or even a few thousand to setup. Doesn’t mean that you should treat it any differently than a 500,000 Franchise business. A good measurement to look for is to look at yourself like an employee in your business. Look at yourself honestly after a few weeks working on your online business. Would you hire or fire yourself if you where a business owner? 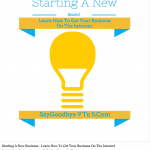 Hiring yourself to run your internet business, if you would hire yourself chances are you are doing a good job. If not ask yourself why and decide to change it or it will soon be time to change your business or become an employee again.